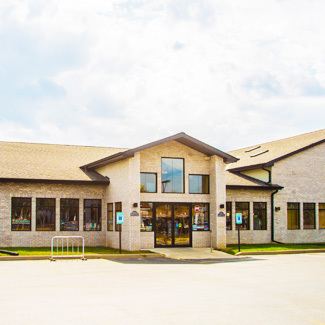 Since 1995, community health and well-being have been the focus of our chiropractic care center. Oak Creek Relief & Wellness is dedicated to working with family members of every age and description, from babies and children to parents and grandparents. We emphasize a multidisciplinary approach, including cutting-edge chiropractic, functional medicine, peripheral neuropathy treatment and thyroid relief programs. Our mission is to help as many people as possible improve their health without drugs or surgery. We seek to accomplish this goal by providing outcome-based chiropractic, fitness instruction and nutritional guidance. Our vision has never wavered: chiropractic, fitness and nutrition first; drugs second; surgery last! Our office holds great appeal for those seeking answers; those who want more natural options to recover and maintain their health. We cater to those individuals who are looking for a variety of research-based choices in optimizing their wellness potential; choices that do not always feature medication management or surgical intervention. We understand that the body is a self-healing and self-regulating mechanism, and if given a chance, will carry out its inherent ability to do its job. Our job is to remove the interferences that inhibit healing. We achieve this through gentle chiropractic care and the many advanced, supportive therapies we provide. We are committed to offering customized, patient-based care. We want our patients to experience the friendliness and openness of our office, the generous amount of time devoted to your needs and the personal relationships that develop as we work together. Please contact us today for a free consultation; we accept insurance.